Take the Druva TCO Challenge! Druva Phoenix makes it easier and more cost-effective than ever for you to streamline and centralize your backup, recovery, and archival of your globally distributed data - All from the cloud. This promotional offer is limited to qualifying organizations. Qualifying organization must be a current customer of Commvault, Net Backup, Backup Exec, Avamar, or a similar legacy system. All organizations interested in participating will be subject to a qualifying interview with a Druva representative. 60TBs is equivalent to 60TB Phoenix Credits. In calculating Total Cost of Ownership (TCO), Druva will use a 3 year model and a 3x deduplication rate, which is an average rate calculated across customers. Actual deduplication rates may vary depending on data types. Offer is limited to 1 per organization. Terms are subject to change by Druva, Inc. in its sole discretion. Druva © 2017. All rights reserved. 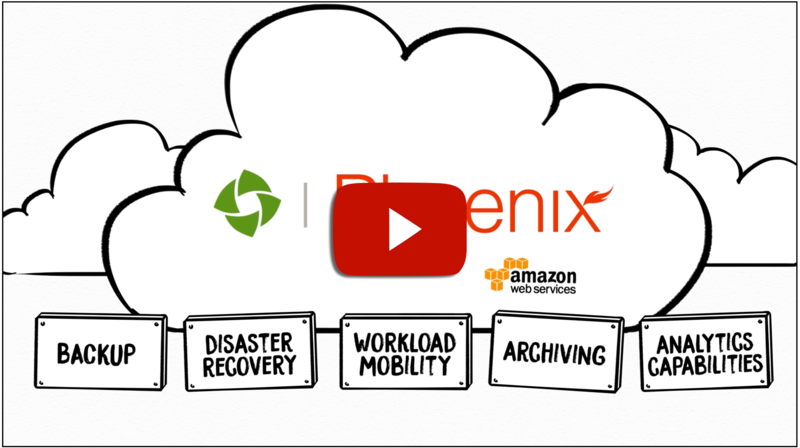 By leveraging a unique and scalable cloud native storage architecture, Phoenix overcomes the outdated and overtaxed legacy archiving models and delivers the search, retrieval, and management functionality and speed required for today’s legal and compliance needs. Through its highly efficient data deduplication system, organizations using Phoenix see unprecedented cost savings and eliminate the inefficiencies and storage bills of legacy archiving solutions.